Although from now on I'll be alternating Lynch-focused pieces with other material (particularly my upcoming entries into the Wonders in the Dark romantic countdown, summer reading list round-ups, and an already-written but long-postponed review of Frozen) my attention to Twin Peaks won't really be wavering in the upcoming months. How could it? When I fell back under the spell of the series and its co-creator David Lynch this spring, I didn't yet know about the upcoming blu-ray boxset, featuring ninety minutes of deleted footage from Fire Walk With Me and a bevy of special features that would make even the most casual fans' mouths water. 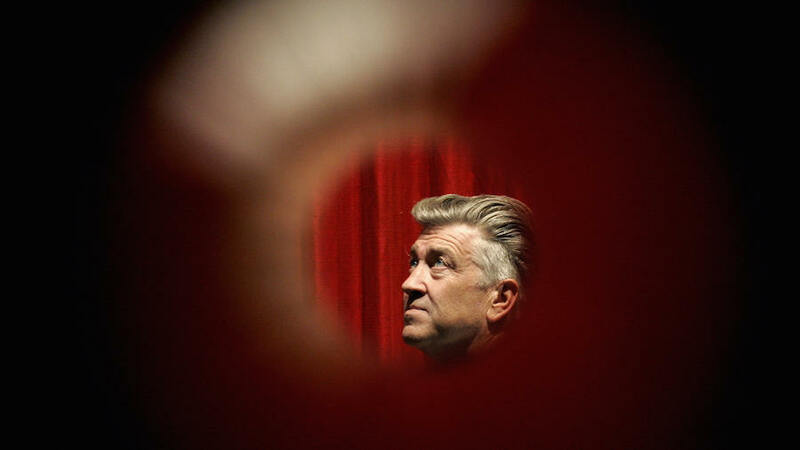 I'm particularly looking forward to Between Two Worlds, in which Lynch himself will interview Sheryl Lee, Ray Wise, and Grace Zabriskie, the actors who played the Palmer family so central to Peaks lore. He will not only be interviewing them as themselves but as the characters they played - a fantastic idea albeit one that probably only Lynch could pull off. I'm particularly excited to see the underrated Lee return to the role that defined her forever; and in a sense, this feature will also be the closest we get to a new Lynch dramatic film for some time - unless his rumored upcoming project comes to fruition. I can't wait, and in early August I will be reviewing both Between Two Worlds and The Missing Pieces (Lynch's title for the Fire Walk With Me deleted scenes edited into their own standalone feature, a fantastic and necessary approach). Meanwhile, I've participated in my first-ever podcast, Cameron Cloutier's "Obnoxious and Anonymous." Cameron, whose fondness for long, unedited conversations defines a channel just packed with in-depth goodies, was someone whose work I discovered via his interview with filmmaker/author Jennifer Lynch. It's probably the longest interview she's ever done, full of insights into The Secret Diary of Laura Palmer and her father's work, as well as her own film career. Cameron invited me to participate after I commented on a previous podcast, and we spent over two hours discussing (and sometimes disagreeing about) both Twin Peaks and Fire Walk With Me, touching on what was good and bad about the show's controversial second season, how the show attracted and then turned away viewers, and why the film was so poorly received. It was a great conversation and there may be more in store after the blu-ray comes out. I've placed the podcast after the jump but you can also visit the YouTube page to check out some of the fascinating links Cameron included in the description. In other news, friend and fellow blogger Bob Clark has launched a webcomic well worth checking out. 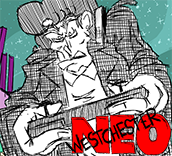 Dubbed "Neo Westchester", the strip cleverly combines savvy social commentary with geeky references, taking an affectionate but clear-eyed view of gaming and anime culture. Beginning with the simple scenario of two fans waiting in line for a game release, the series branches off into surreal fantasies, political satires, and the eventual inclusion of genuine sci-fi intrigue. Ambitiously and accurately, Bob himself describes it as "Bloom County meets Akira," adding, "I hope I can offer a nice taste of political and cultural humor and commentary laced with a healthy dose of action and adventure in the form of deadly robots, evil corporations, and the ragtag rebels fighting them both in the streets and the technicolor carnage of online gaming." Join the battle here. 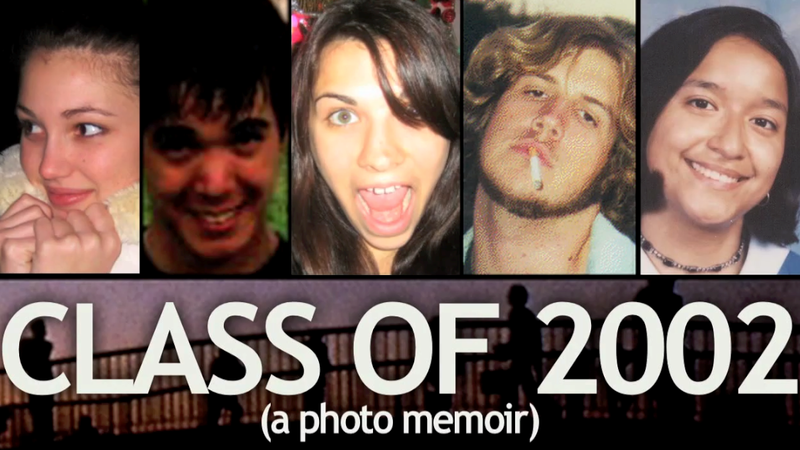 And now, since I'm already using this post as a catch-all, a status update. As noted, I'll be continuing Twin Peaks posts at least once a month from now on. This will include the aforementioned review of The Entire Mystery box set, perhaps some further podcasts, and hopefully some interviews which I've recently put out feelers for. Additionally, since I've focused so much on Lynch's involvement with Peaks lately, I'd like to list my favorite 20 moments not directed by him (though some will be written by him, or feature him as an actor, they still won't have been covered in my recent directorial retrospective). I am also hoping to end the year with an in-depth study of Sheryl Lee's performance as Laura Palmer in Fire Walk With Me. While this may be my favorite aspect of the film, until now my numerous Fire Walk With Me pieces haven't actually addressed it in much detail. I'm hoping this upcoming essay (which will also touch on her overlooked post-Peaks career) will be the first of many to examine great, underrated performances in screen history. Perhaps the next one can explore Bing Crosby's role in The Country Girl, another brilliant but infrequently-discussed piece of acting. So that's the general idea and a provisional outline of where we're headed. 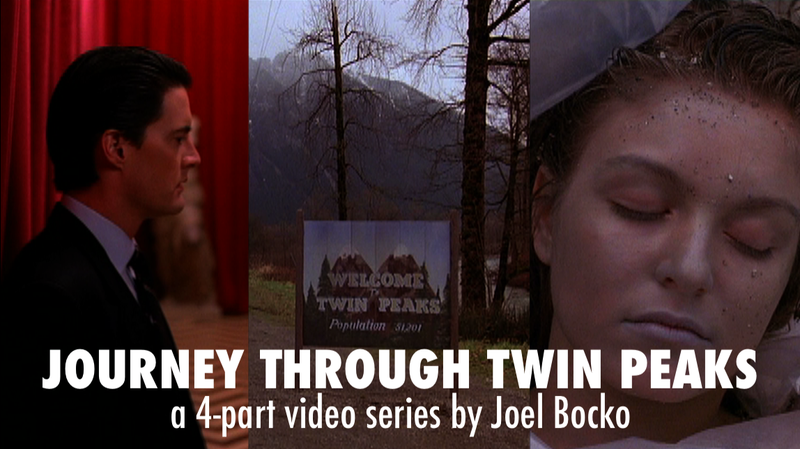 Which is not to say I haven't already produced a lot of Twin Peaks commentary for you to explore in the interim. I recently updated my Twin Peaks directory from 2010 to include all the Peaks posts, images, video clips, and even brief mentions which have occurred on Lost in the Movies over the past six years (I'm also linking up entries in my episode guide and other Peaks pieces each morning on Twitter). Primarily, of course, this includes recent work. I spent the last two months exclusively focused on the work of David Lynch. 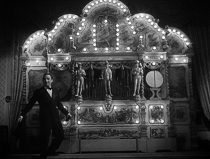 If you missed them, I definitely encourage you to visit both my conversation with Tony Dayoub on Fire Walk With Me and my recently-concluded David Lynch Month, which probably constitutes the most ambitious series of posts I've ever assembled for this blog. Every week of that month, I posed a "Question in a World of Blue" and the discussion never closes so please jump in now if you have anything to say. Finally and most importantly, I want to highlight my video on David Lynch's early work. I think it's the best piece I offered all month, and one of my strongest posts in any format. 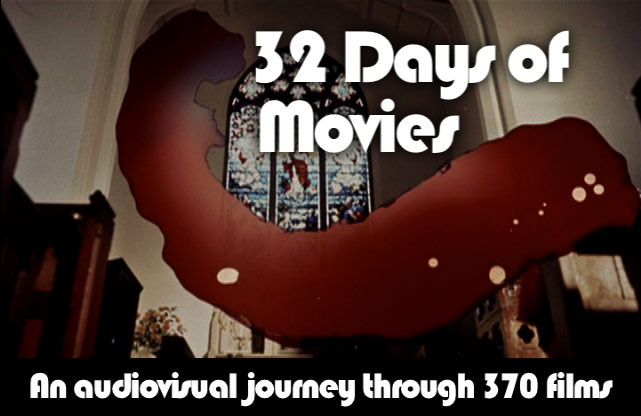 Sadly, it remains the least-viewed of all the month's posts, as is often the case with videos. 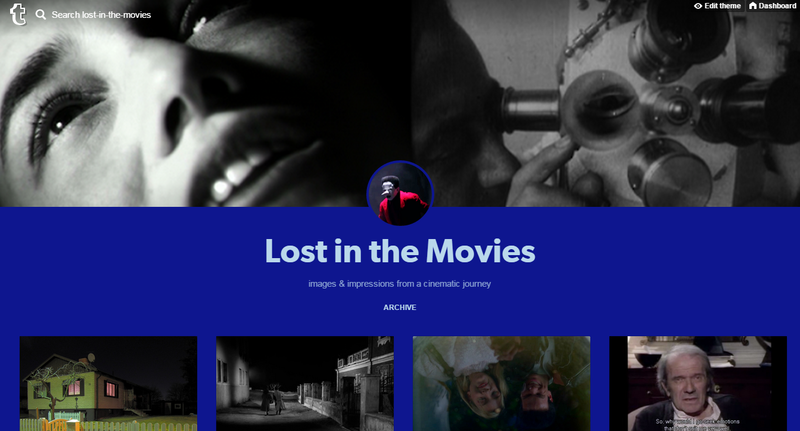 Please take this opportunity to watch my tribute to Lynch (spoiler and graphic content warnings apply, of course), or at least to bookmark it for viewing at a more convenient time. I promise it's worthwhile - and if you think so too, please share it with others. This is the only way it will reach a wider audience.